Start your holiday the right way using our Kefalonia airport transfer service. We can arrange an array of Kefalonia airport transfers to accommodate different group sizes. 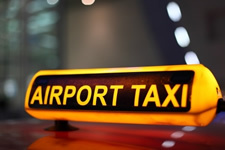 Whether you’re travelling in a large group of friends or as a family, we can organise a Kefalonia airport taxi to suit you. With Kefalonia Premium Lettings you can book in advance and arrange Kefalonia airport transfers at competitive prices. Please do not hesitate to contact us for rates and more details at info@premium-lettings.com or contact our partner Kefalonia Airport Taxis.